Heat pumps are rapidly becoming the heating of choice for commercial properties across the United Kingdom. Installing a commercial heat pump as a renewable heating alternative stands to bring enormous benefits to businesses of all sizes and sectors. Whether it’s a business whose process relies on high temperatures as part of their production, such as breweries or factories, or an office complex with dozens of employees to keep warm and comfortable, a commercial heat pump has the versatility and capability to meet the heating and hot water demand of any commercial property. Heat pumps take the natural thermal energy that’s stored in the air, ground or a nearby water source (depending on what type of system you opt for) and transfer it into usable heating and hot water for almost any building. The two most common heat pump systems are air source heat pumps and ground source heat pumps. 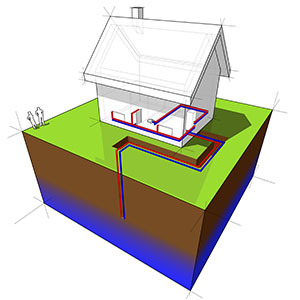 Air source heat pumps absorb thermal energy directly from the air, while ground source heat pumps use a series of pipes buried in the ground to gather heat. The energy gathered is then compressed, leading it raise to temperatures that can be used in almost any commercial setting. For a more detailed guide on how heat pumps work, see our dedicated heat pumps page. How would a commercial heat pump benefit my business? Almost any business – from factories to shops to office blocks – requires heating and hot water as part of its daily operation. And utilities, like heating, can often be a costly headache to those in charge of keeping down the costs, adding significant sums to a company’s outgoing expenditure. 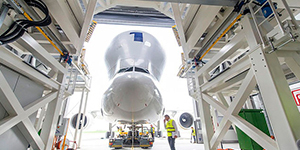 Traditionally, heating is provided by burning fossil fuels, and the costs incurred for sourcing and burning that fuel can be volatile and costly to some businesses. Companies who’ve installed a commercial heat pump, however, are completely eliminating the cost of fuel from their outgoing expenditure. The only continued spend for heating is the electricity that’s required to operate the air source or ground source heat pump. Opting to install a commercial heat pump not only goes a considerable distance towards helping your company’s bottom line, but it also sends a statement of intent that your organisation is committed to reducing its carbon footprint. Heat pumps as an alternative heating system are entirely free from fuel. Your commercial heat pump provides heating and hot water in a way that’s sustainable, kinder to the environment and totally emissions-free. 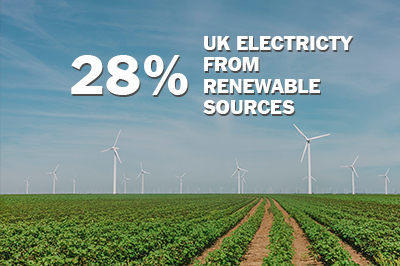 Installing renewable technology, regardless of the size of your company, will play a vital role in helping the UK achieve its goal of a carbon-neutral future. Commercial businesses are offered a financial incentive to switch to a renewable heating system. The UK government has established a scheme called the Non-Domestic Renewable Heat Incentive (RHI). The Renewable Heat Incentive is suitable throughout the UK and for all manner of organisations: factories, offices, schools, hospitals, etc. 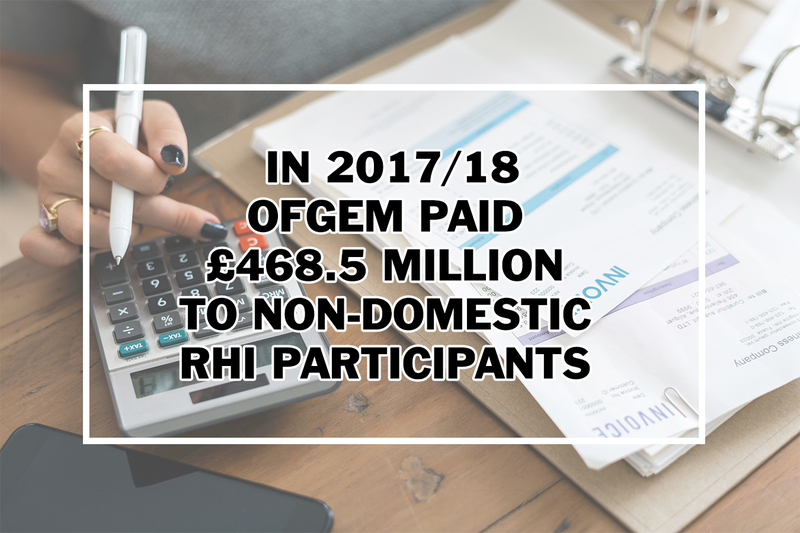 Recipients of the Non-Domestic RHI receive payments every quarter for 20 years, based on how much heat energy the heat pump produces. For a lot of companies, the Non-Domestic RHI payments will see the cost of the heat pump covered far sooner than the 20 years ends, meaning your commercial heat pump will be a profitable source of income for your company. 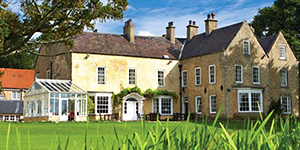 Thermal Earth are the long-term UK-exclusive distributor of the MasterTherm range of heat pumps. 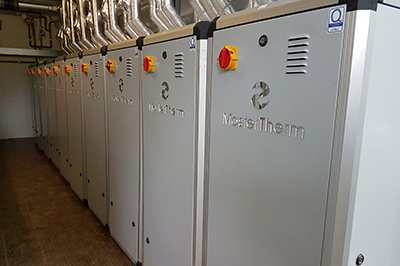 Having long been one of the world’s leading heat pump manufacturers, MasterTherm are renowned for their market-leading technology and diverse product range. See below our varied range of MasterTherm air source and ground source heat pumps, perfectly suited for commercial use. To learn more about how installing a commercial heat pump can help you and your business, get in touch with our team today. 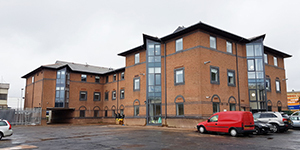 Click below to get more information on some of the renewable heating projects completed by Thermal Earth. 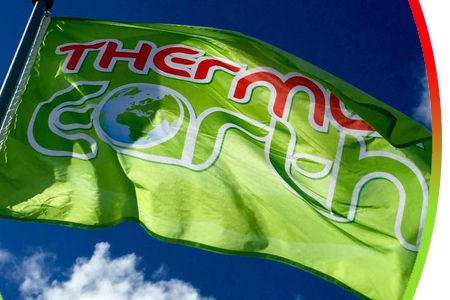 Thermal Earth has over a decade's experience supplying the United Kingdom with renewable heating products and services. We’ve gained a wealth of knowledge to ensure the renewable heating solution you’re installing is thoughtfully designed, commissioned, installed and optimised to work to its full capability.